Did you know that more than 1 in 3 Americans are obese? Obesity is a health disorder in which there is excessive accumulation of fat in the body. This results in being overweight and associated health problems. Obesity is determined by measuring a person’s Body Mass Index (BMI) — the measure of body fat based on one’s height and weight. 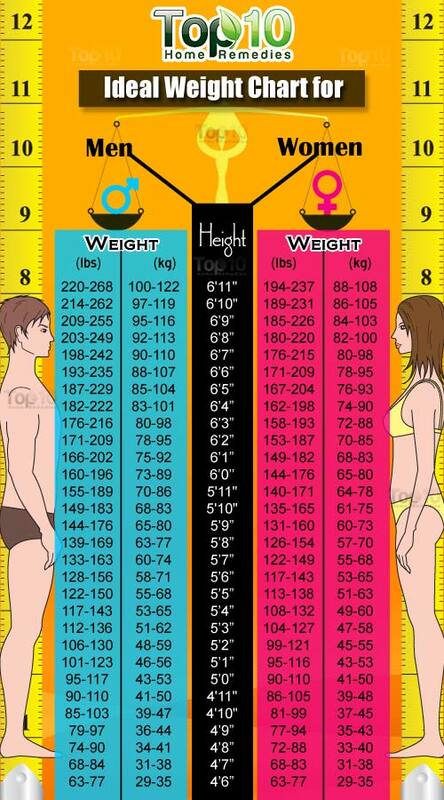 Generally, a BMI between 18.5 and 25 is considered desirable. If your BMI is between “25 – 29.9”, then you are deemed overweight; if it is 30 or more, you are considered obese. the U.S. National Institutes of Health’s online BMI calculator. This problem is mostly attributed to poor lifestyle choices, such as an unbalanced diet, eating processed foods high in fat, oversized food portions, overeating, excessive drinking, lack of physical activity, lack of sufficient sleep, hypothyroidism, insulin resistance, polycystic ovarian syndrome, Cushing’s syndrome, medications, psychological issues, social issues etc. Genetic factors and hormonal problems also tend to increase the risk of developing obesity. Obesity is a great concern not merely because of the excess weight, but also because it puts you at risk for a number of serious health problems such as insulin resistance, Type 2 diabetes, high blood pressure, heart disease, gallstones, gout, arthritis, certain cancers, and other chronic illnesses. It is important to adopt healthy lifestyle changes to combat this problem. It might be reassuring to know that if you are determined to lose at least 5% of your weight, you will be rewarded with decreased risk of heart disease, blood pressure, diabetes, and cancer as per the findings of a recent study published in 2016 (1). 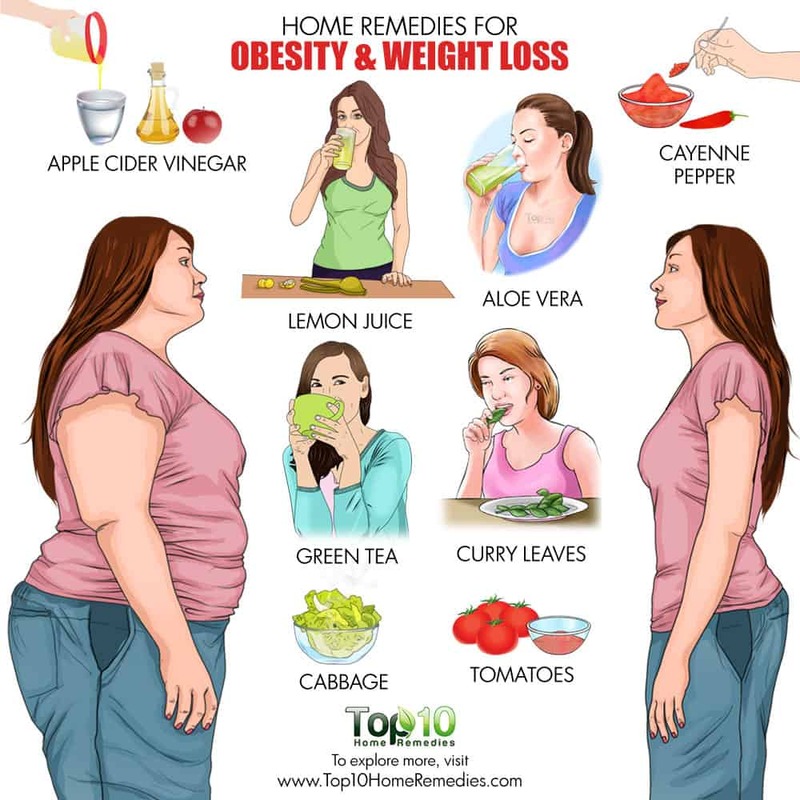 In addition, you can use some easy yet effective natural remedies to help with your weight loss efforts. 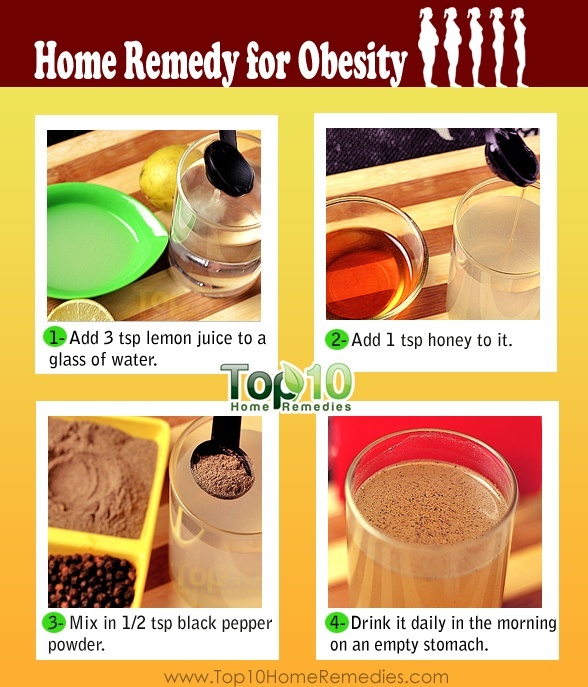 Here are the top 10 home remedies for obesity. Lemon juice is one of the best home remedies for fighting obesity. It is rich in fiber, vitamins like vitamin B and C, minerals including calcium, magnesium, iron, zinc, and phosphorus. It helps improve digestion and aids in detoxification. Healthy digestion is an essential pre-requisite for weight loss as it helps your body get the nutrients required to burn fat. The citric acid present in lemons is very effective in burning fat (2). Furthermore, it helps remove toxins from your body that slow down your metabolism. A recent study published in the journal of Nutrition Research in 2015 showed that a lemon detox program was very effective in reducing fat and insulin resistance in a group of overweight Korean women in comparison to the control group (3). Drink it in the morning on an empty stomach. Do this daily for at least three months. Alternatively, you can simply have a cup of warm water mixed with a teaspoon of lemon juice. Note: Deseed lemons before using as seeds of all citrus fruits and apples are poisonous and can be dangerous if ingested even in small quantities at times. 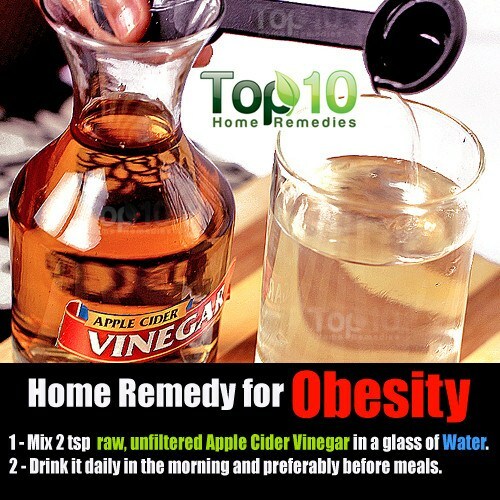 Raw, unfiltered apple cider vinegar is another popular home remedy to reduce excess weight. Though the actual weight loss benefits of it are still unknown, preliminary research has shown that it can help protect against obesity. Apple cider vinegar (ACV) was found to decrease cholesterol in animals fed high cholesterol diet in comparison to the controls in animal models (4). The use of vinegar as part of a healthy diet can in the long run help in weight loss and diabetes (5). It helps break down fat and hence prevents the accumulation of body fat. Mix two teaspoons of raw, unfiltered apple cider vinegar in a glass of water. Drink it daily in the morning and preferably before meals. You can also drink a glass of water mixed with one teaspoon each of raw, unfiltered apple cider vinegar and lemon juice. You can have up to two tablespoons of apple cider vinegar in a day. Do not exceed this amount, as it may reduce your blood potassium levels over time and lower your bone mineral density. 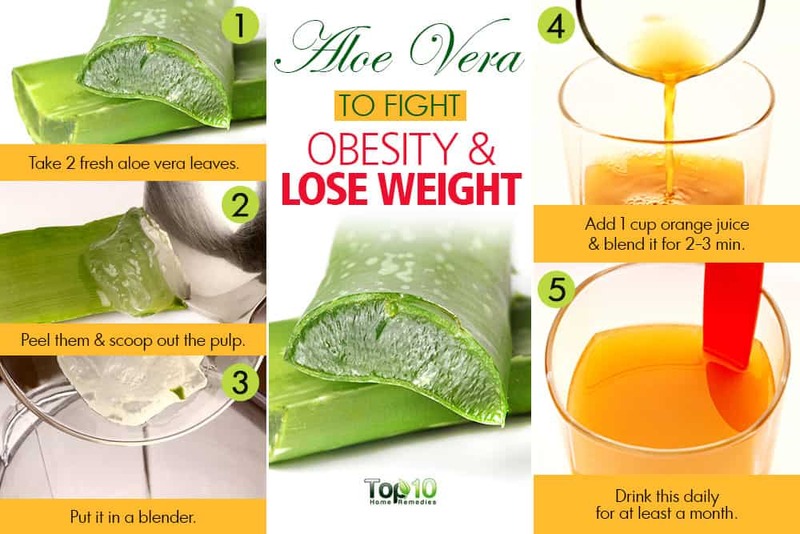 Aloe vera is useful in treating obesity because it stimulates metabolism, increases energy consumption, and mobilizes unused fat in the body. Aloe vera contains more than 75 different biologically active substances. This plant has been used in traditional medicine for wound healing, anti-inflammatory activity, antiseptic properties and also as a laxative (6). A study done in 2008 showed that phytosterols isolated from Aloe vera was effective in reducing body fat accumulation in obese diabetic animal models (7). This evidence was supported by results from another study done in 2012 which suggested that treatment with dried Aloe vera gel reduced the accumulation of body fat in diet-induced obese animal models (8). It contains natural collagen proteins that make the body work harder in order to absorb the proteins. In addition, it helps remove toxins from the digestive system and colon. Take two fresh Aloe vera leaves, peel them, and scoop out the pulp. Put it in a blender along with one cup of citrus juice, like grapefruit juice, or simply water. Blend it for two to three minutes. Drink this daily for at least a month. Green tea is another popular natural remedy to promote weight loss. 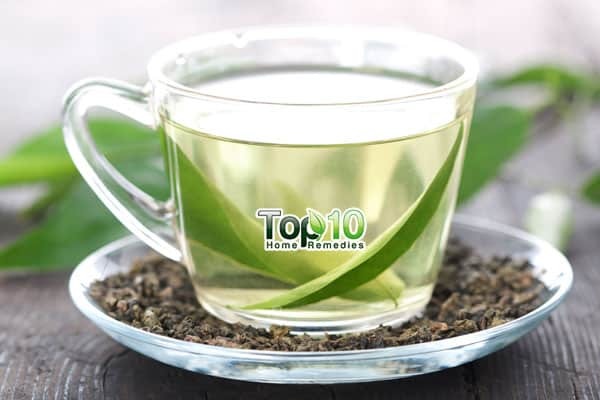 Green tea is rich in polyphenols like epigallocatechin gallate (EGCG), epigallocatechin, and epicatechin gallate which are beneficial for health. A study at Penn State revealed that epigallocatechin-3-gallate (EGCG), a compound found in green tea, helps slow down weight gain by limiting fat absorption and increasing the body’s ability to use fat (9). Another report from Penn State showed that decaffeinated green tea along with exercise helped in achieving weight loss in mice (10). While another study published in 2009 showed that the catechins present in green tea had a small positive effect on weight loss and weight management (11). Furthermore, green tea is packed with nutrients such as vitamin C, carotenoids, zinc, selenium, chromium, and other trace minerals. Drink about three to four cups of green tea daily to combat obesity. You can also combine it with ginger tea or cayenne pepper. Cayenne pepper helps control obesity and aids in weight loss. It contains capsaicin that stimulates your body to burn fat and increase energy expenditure. Other than capsaicin, chilies have vitamin C, β carotene, and lutein which are well-known antioxidants (12). A review paper published in 2012 looked into the potential medicinal uses of capsaicinoid compounds in relation to the regulation of weight. Capsaicinoids were found to increase energy expenditure, lipid peroxidation, and also reduce the appetite (13). In addition, it stimulates digestion and suppresses excess appetite caused by malabsorption of nutrients in the body. 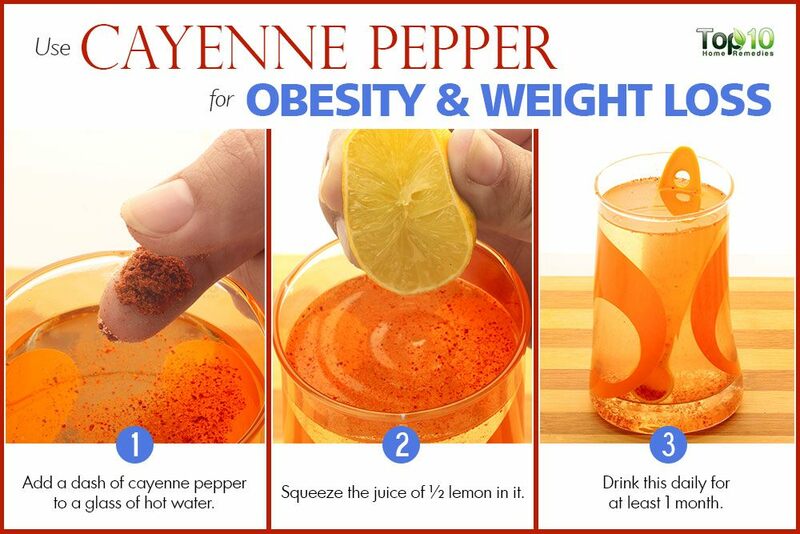 Make cayenne pepper tea by pouring a glass of hot water over cayenne pepper (start with one-tenth of a teaspoon or just a dash of cayenne pepper and gradually increase its quantity to one teaspoon). Squeeze the juice from half a lemon in it. Drink this tea regularly at least for a month. Mix two tablespoons each of lemon juice in 10 ounces of water (one glass contains 8 ounces). Stir in a dash of cayenne pepper and drink it. Use cayenne pepper and other spices, such as ginger, black pepper, and mustard seeds, generously in your meal preparations. Eating 10 fresh curry leaves daily in the morning works as a great Ayurvedic remedy to deal with obesity and diabetes caused by obesity. Curry leaves, which are lavishly used for garnishing and flavoring dishes, are rich in proteins, carbohydrates, fiber, minerals, carotene, nicotinic acid, vitamins A and C, calcium and oxalic acid. It is a rich source of biologically active compounds like koenigin, girinimbin, koenidine, triterpenoids etc. The leaves are traditionally used for its stomachic, tonic, antihelminithic, antidiabetic, antidiarrheal, and carminative properties (14). In a 2014 report: extracts of curry leaves were reported to remarkably reduce body weight gain, total lipids when given orally to rats fed a high-fat diet. 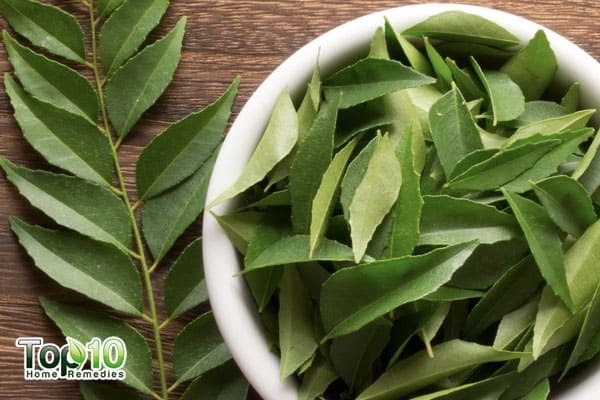 These curry leaves contain mahanimbine, an alkaloid that has anti-obesity and lipid-lowering effects. Thus, it helps lower body weight and reduces total cholesterol and triglyceride levels (15). Continue eating these leaves regularly for at least three to four months. Tomato is an excellent natural medicine bursting with goodness that can help you in your battle against obesity. Tomato is rich in vitamin A and C, potassium, phosphorus, magnesium, and iron that are required for normal activity of nerves and muscles. 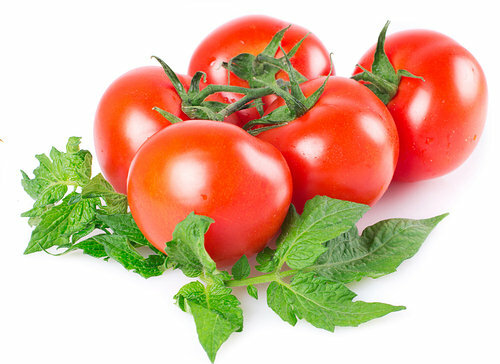 Lycopene, the pigment responsible for the bright red color of tomatoes, is very beneficial for the body. It works as a powerful antioxidant that neutralizes damage by free radicals to cells in the body. Other biological constituents of tomatoes include coumaric acid and chlorogenic acid. They fight cancer by blocking powerful carcinogens like nitrosamines. Tomatoes also have anti-inflammatory and antithrombotic properties. The bioavailabilty of lycopene and other nutrients increases upon cooking and processing (16). Campari tomatoes which contain very high amounts of lycopenes, were shown to lower lipid levels in diet-induced obese zebrafish models in a paper published in 2011 (17). Eat a couple of tomatoes every morning on an empty stomach. Make sure you eat the peels and seeds as well because they contain dietary fiber. Tomatoes contain compounds that tend to alter the levels of hormones that affect your appetite. Furthermore, being rich in vitamins A, C, and K, and magnesium, manganese, choline, folate, and other nutrients, they are good for your health. Also, they are packed with antioxidants that protect against cancers. Cabbage has been used as a remedy for weight loss and obesity. Being a cruciferous vegetable, it contains phytochemicals that help improve the imbalance of estrogen metabolism. 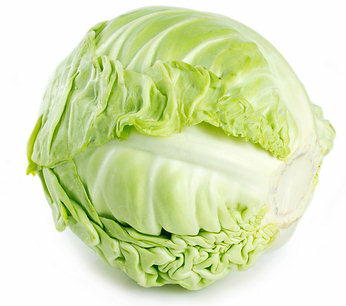 Cabbage belongs to the Brassica genus, of which kale, cauliflower, broccoli etc are also members. The members of Brassicaceae are a rich source of ascorbic acid, phenolic compounds, carotenoids and glucosinolates (18). These plants protect the body from chronic diseases and are also said to decrease the risk of certain type of cancers. Studies conducted on various brassica members, suggests that they can be safe and effective anti-obesity agents. A study published in 2012 demonstrated that rats fed an anthocyanin-rich red cabbage diet had lower levels of tissue lipids than the control group (19). Fennel seeds are believed to be useful in weight loss because of their diuretic properties. 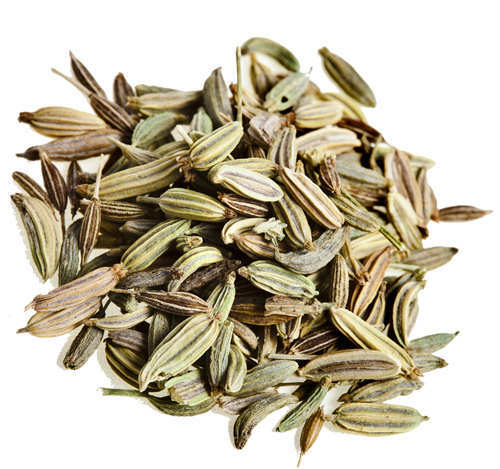 Fennel seeds have that wonderful aroma around them, which make them great for flavoring dishes. The major compounds of fennel include essential oil, fatty acid, phenylpropanoids, monoterpenoids, sesquiterpenes, coumarins, tannins, flavonoids etc. The biological properties of fennel are attributed to its volatile and non-volatile compounds in it. It is useful for the treatment of stomachic, analgesic, anti-inflammatory and antioxidant properties (20). A diet of fennel seeds was shown to improve weight loss and decrease leptin (a hormone linked to body weight) concentration in obese animal models in a study published in 2017 (21). Diuretics help you lose weight quickly by reducing water retention. They do not cause long-term weight loss though. Slightly dry roast and grind fennel seeds. Sieve the powder. Take one-half teaspoon of this powder twice daily with warm water. This remedy will also help relieve abdominal gas, indigestion, and constipation. You can also drink fennel tea 15 minutes before meals. 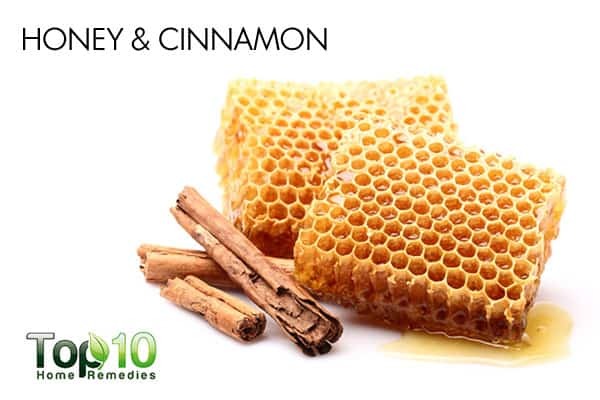 Include honey and cinnamon tea in your diet to boost your metabolism, increase your energy, and detoxify your body. All of these effects support weight loss. Organic honey is a highly nutritious product that contains vitamins and minerals. It is an energy booster and has antibacterial, antioxidant, anti-inflammatory properties. It is also used to treat respiratory illnesses and for wound healing (22). Honey fights obesity by promoting fat metabolism. In a study published in 2017, rats that were fed with honey for four weeks had a significant reduction in excess weight gain in comparison to rats that were on a high-fat diet (23). Cinnamon helps you avoid overeating by fighting insulin resistance and also reduces oxidative stress associated with metabolic syndrome. Sri Lankan or Ceylon cinnamon is the true cinnamon that is well tolerated and safe when used in therapeutic doses. It is traditionally used for a number of ailments including dyspepsia, flatulence, diarrhea, vomiting, bronchitis, stomach cramps, toothache etc. Cinnamaldehyde and gallic acid are some of the major active constituents. The traditional use of cinnamon for the weight loss has recently been established in a study published in 2017. The findings of this study conclude that cinnamon may be used as a dietary supplement for the management of obesity (24). Pour a cup of hot water over a half teaspoon of cinnamon powder (you can also use cinnamon sticks). Let it steep for half an hour. Mix in one teaspoon of organic honey. Drink half of it in the morning on an empty stomach, about half an hour before breakfast. Store the rest in the refrigerator and drink it at night before going to bed. Along with these remedies, make sure you drink half of your body weight in ounces of water to flush toxins out of your body. For example, if you weigh 100 pounds, you should drink 50 ounces of water per day. Studies have found that plant-based foods can help fight obesity because they contain phytochemicals that prevent oxidative stress, which contributes to obesity. Opt for more plant-based foods rather than processed, fast foods. Plus, include grapes, peaches, figs, carrots, and blueberries in your diet. Another very important yet ignored tip to fight obesity is to have a proper breakfast. Research shows that those who have a big breakfast are more likely to lose weight and even a few inches off their waistline compared with those who eat a large dinner. Your breakfast should be protein and fiber-rich, rather than high in carbohydrates. It is also important to relax, exercise regularly along with mindful eating to achieve a desirable healthy weight. Magkos F, Fraterrigo G, Yoshino J, et al. Effects of Moderate and Subsequent Progressive Weight Loss on Metabolic Function and Adipose Tissue Biology in Humans with Obesity. Cell Metab. 2016;23(4):591-601. doi:10.1016/j.cmet.2016.02.005. Mohanapriya M, Ramaswamy L, Rajendran R. HEALTH AND MEDICINAL PROPERTIES OF LEMON (CITRUS LIMONUM). Int J Ayurvedic Herb Med J Homepage. 2013;31095(1). http://interscience.org.uk/index.php/ijahm. Accessed March 8, 2018. Kim MJ, Hwang JH, Ko HJ, Na HB, Kim JH. Lemon detox diet reduced body fat, insulin resistance, and serum hs-CRP level without hematological changes in overweight Korean women. Nutr Res. 2015;35(5):409-420. doi:10.1016/j.nutres.2015.04.001. Budak NH, Kumbul Doguc D, Savas CM, et al. Effects of Apple Cider Vinegars Produced with Different Techniques on Blood Lipids in High-Cholesterol-Fed Rats. J Agric Food Chem. 2011;59(12):6638-6644. doi:10.1021/jf104912h. Budak NH, Aykin E, Seydim AC, Greene AK, Guzel-Seydim ZB. Functional Properties of Vinegar. J Food Sci. 2014;79(5):R757-R764. doi:10.1111/1750-3841.12434. Surjushe A, Vasani R, Saple DG. Aloe vera: a short review. Indian J Dermatol. 2008;53(4):163-166. doi:10.4103/0019-5154.44785. Misawa E, Tanaka M, Nomaguchi K, et al. Administration of phytosterols isolated from Aloe vera gel reduce visceral fat mass and improve hyperglycemia in Zucker diabetic fatty (ZDF) rats. Obes Res Clin Pract. 2008;2(4):I-II. doi:10.1016/j.orcp.2008.06.002. MISAWA E, TANAKA M, NABESHIMA K, et al. Administration of Dried Aloe vera Gel Powder Reduced Body Fat Mass in Diet-Induced Obesity (DIO) Rats. J Nutr Sci Vitaminol (Tokyo). 2012;58(3):195-201. doi:10.3177/jnsv.58.195. Grove KA, Sae-Tan S, Kennett MJ, Lambert JD. (−)−Epigallocatechin-3-gallate Inhibits Pancreatic Lipase and Reduces Body Weight Gain in High Fat-Fed Obese Mice. Obesity. 2012;20(11):2311-2313. doi:10.1038/oby.2011.139. Research suggests that green tea, exercise boost weight loss, health | Penn State University. http://news.psu.edu/story/310179/2014/04/02/research/research-suggests-green-tea-exercise-boost-weight-loss-health. Accessed March 8, 2018. Hursel R, Viechtbauer W, Westerterp-Plantenga MS. The effects of green tea on weight loss and weight maintenance: a meta-analysis. Int J Obes. 2009;33(9):956-961. doi:10.1038/ijo.2009.135. Whiting S, Derbyshire E, Tiwari BK. Capsaicinoids and capsinoids. A potential role for weight management? A systematic review of the evidence. Appetite. 2012;59(2):341-348. doi:10.1016/J.APPET.2012.05.015. Ahuja KD, Robertson IK, Geraghty DP, Ball MJ. Effects of chili consumption on postprandial glucose, insulin, and energy metabolism. Am J Clin Nutr. 2006;84(1):63-69. doi:10.1093/ajcn/84.1.63. Jain V, Momin M, Laddha K. Murraya Koenigii: An Updated Review. Int J Ayurvedic Herb Med Near Sanpada Railw Stn. 2012;256(4). http://interscience.org.uk/index.php/ijahm. Accessed March 8, 2018. Birari R, Javia V, Bhutani KK. Antiobesity and lipid lowering effects of Murraya koenigii (L.) Spreng leaves extracts and mahanimbine on high fat diet induced obese rats. Fitoterapia. 2010;81(8):1129-1133. doi:10.1016/j.fitote.2010.07.013. Bhowmik D, Sampath Kumar KP, Paswan S, Srivastava S. Tomato-A Natural Medicine and Its Health Benefits. J Pharmacogn Phytochem. 2012;1(1). www.phytojournal.com. Accessed March 8, 2018. Tainaka T, Shimada Y, Kuroyanagi J, et al. Transcriptome analysis of anti-fatty liver action by Campari tomato using a zebrafish diet-induced obesity model. Nutr Metab (Lond). 2011;8(1):88. doi:10.1186/1743-7075-8-88. Raiola A, Errico A, Petruk G, Monti D, Barone A, Rigano M. Bioactive Compounds in Brassicaceae Vegetables with a Role in the Prevention of Chronic Diseases. Molecules. 2017;23(2):15. doi:10.3390/molecules23010015. Sankhari JM, Thounaojam MC, Jadeja RN, Devkar R V, Ramachandran A V. Anthocyanin-rich red cabbage (Brassica oleracea L.) extract attenuates cardiac and hepatic oxidative stress in rats fed an atherogenic diet. J Sci Food Agric. 2012;92(8):1688-1693. doi:10.1002/jsfa.5532. Rathore SS, Saxena SN, Singh B. Potential health benefits of major seed spices. Int J Seed Spices. https://pdfs.semanticscholar.org/6cc2/3b14b68277bf77fa068bfac8afa5d4b6b060.pdf. Accessed March 8, 2018. Nejatbakhsh R, Riyahi S, Farrokhi A, et al. Ameliorating effects of fennel and cumin extracts on sperm quality and spermatogenic cells apoptosis by inducing weight loss and reducing leptin concentration in diet-induced obese rats. Andrologia. 2017;49(8):e12748. doi:10.1111/and.12748. Kumar KPS, Bhowmik D, Chiranjib, Biswajit, Chandira MR. Journal of Chemical and Pharmaceutical Research. Vol 2. JOCPR; 2010. https://www.cabdirect.org/cabdirect/abstract/20103251958. Accessed March 8, 2018. Samat S, Kanyan Enchang F, Nor Hussein F, Wan Ismail WI. Four-Week Consumption of Malaysian Honey Reduces Excess Weight Gain and Improves Obesity-Related Parameters in High Fat Diet Induced Obese Rats. Evidence-Based Complement Altern Med. 2017;2017:1-9. doi:10.1155/2017/1342150. Abeysekera WPKM, Arachchige SPG, Ratnasooriya WD. Bark Extracts of Ceylon Cinnamon Possess Antilipidemic Activities and Bind Bile Acids In Vitro. Evid Based Complement Alternat Med. 2017;2017:7347219. doi:10.1155/2017/7347219. 1- lemon juice, green tea and 8 km of walking is good to decerese body weight, i loose 10 kg with in 1 year. Hi nice tips to follow religiously n become healthy. I shall try it and make the best of it. Hi, I just read from this site . I’ll give it a try by starting with lemon juice. I was going thru the tough time of blood pressure so doctor suggsted me to take 2tbsp of ACV a day in one glass of water so I did..
Hi, today i just read this all tips i like this tips from today i will try with lemon juice and honey…..
can we have lemon, honey, acv, cinnamon powder, ginger all together mixed in hot water early in the morning. i am now 72 – height 5 have a 2nd kid of 6 months old. i am not losing weight may be because my thyroid count of 4.8 which is declared to be high. Please confirm to my above doubt and also suggest what best can be done to get rid of this heavy body. Thanks one and all. you all been so sweet sharing lovely tips. Try this 1 Cup of Hot water, 1 Green tea,1 Lemon, 1 Spoon Honey. I reduced my weight 9kg for 1 1/2 Month. One time daily on empty stomach. Your said curry leaves are used for weight loss and we also have another benefits like curry leaves for hair growth.I want to try curry leaves juice i feel juice is beneficial for both weigh loss and hair growth what you says? I am 54 year old and 94 kg.I have gone through all msg. I am going to try lemon juice, honey with Luke warm water..I hope it would work for me..I am drinking warm water after every meal. I will share my result in future. Start your day with a warm glass of water and take 2-3 times black tea with pinch of cinamon and cardamom powder. They are mood boosters. Start your day with warm glass of water and take sugar free black tea with a mix of cinamon and cardamom powder everyday. This is a wonderfull mood booster and increases metabolism as well. The idea of doing what you enjoy benifits you is because it’s something your going to keep doing. If it’s something you hate doing your more likely to quit after a time. It’s still important to push yourself out of your boundries but you can do that in something you enjoying doing just the same.